About five years ago, I did our first Veg Bad challenge on the blog. I really helped my family increase the number of veggies we eat on a regular basis. What's the deal with the strange name? Well, it just so happened to coincide with Wallace and Gromit's The Curse of the Wererabbit, in which Wallace tried to pump the thought "Veg Bad" into the minds of rabbits so that they would stop eating the local gardens. I loved the idea of veg bad so much, the challenge was born! So for the next 90 days, I am taking the Veg Bad Challenge, if you'd like to go along with me, here are the original guidelines! 2. Invite your family to join in with you because it's more fun with company and you won't be able to torture yourself with an infinite amount of beet salad and other unusual dishes while your family gets away with calling french fries and ketchup a veg. 3. Once a week, post a veg recipe that you've made that your family enjoyed. Vegetables need to be the main ingredient, so no tofu or bean recipes, please. Though I must say vegetables covered in other things like cheese is totally acceptable. Feel free to share the dishes that you served along side the successful veg dish. 4. If you are met with heartache over every veg dish you serve in a week, post the one that was met with the most complaining and warn the rest of us never to serve it. You will be able to follow along on my Facebook page and share your recipes there on a weekly post! I can't wait to see what veg you add to your meals! How to let me know that you're in for the challenge? 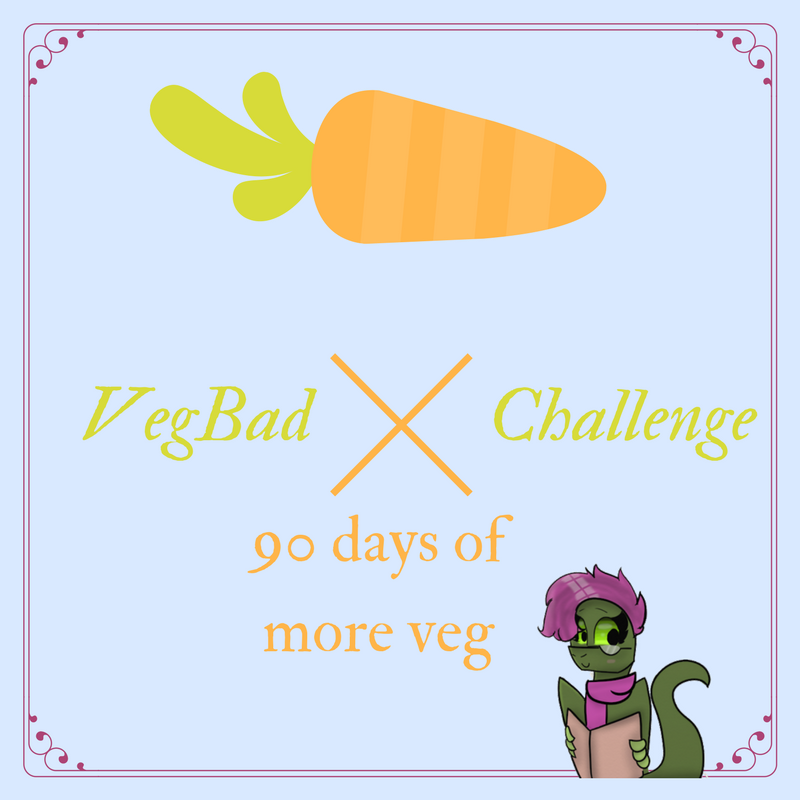 Hop over to facebook, like my page (www.facebook.com/tina_thestoryteller), and leave a comment on the Veg Bad challenge announcement and then go eat some veg! !